A Syrian war monitor and a news agency of an al-Qaida-linked group say militants have shot dead eight men suspected of being members of the Islamic State group a day after a suicide bombing killed seven people in a restaurant in northwestern Syria. Friday's explosion in Idlib was the latest in a string of bombings in the city where lawlessness is rampant. Idlib is the last major rebel stronghold in Syria, controlled by the al-Qaida-linked Hayat Tahrir al-Sham, HTS, or Levant Liberation Committee. The HTS-linked Ibaa news agency said HTS members shot dead members of IS sleepers cells on Saturday, in front of the restaurant where the attack occurred. The Britain-based Syrian Observatory for Human Rights also reported the shootings outside the restaurant. A group of Yazidi women and children have reunited with their families in Iraq after five years of captivity in the hands of the Islamic State group. Elated families met their loved ones at a truck stop on the road between Sinjar and Dohuk, tossing candy in the air like confetti and ululating with joy. 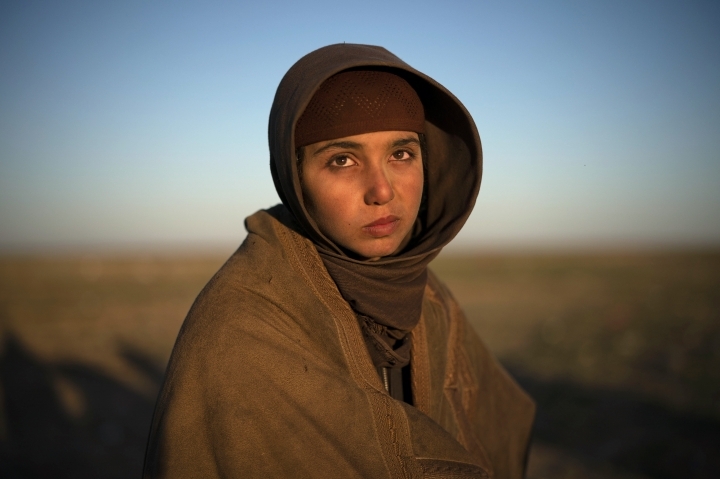 The group of three Yazidi women and 18 children had crossed into Iraq from Syria on Thursday. 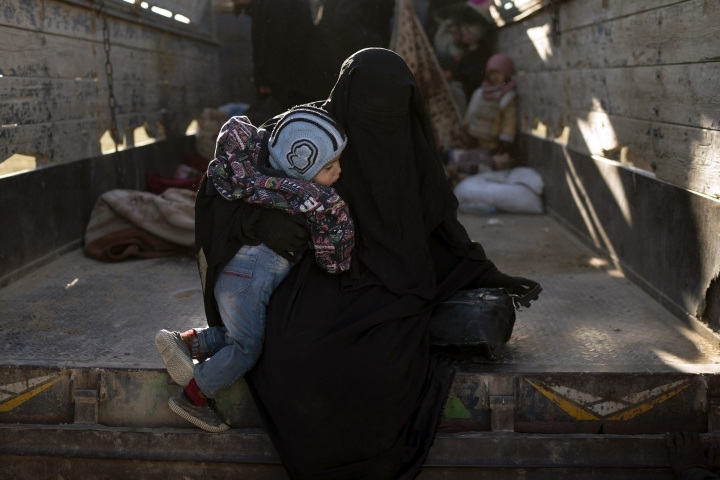 They are among thousands of civilians who emerged in the last few days from the last speck of territory held by the Islamic State group in the village of Baghouz, in eastern Syria. 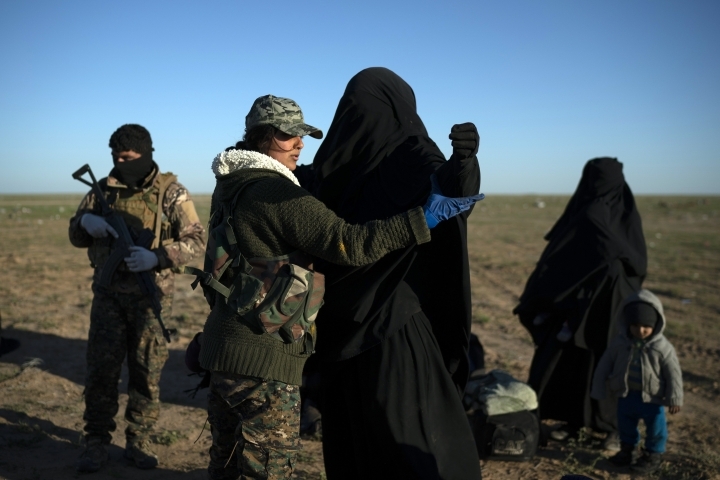 Fighters with the U.S.-backed force battling the Islamic State group in eastern Syria advanced on two fronts Saturday as the extremists used snipers and booby traps to slow the push on the last area they control, a spokesman for the group said. Mustafa Bali of the Kurdish-led Syrian Democratic Forces tweeted that "heavy clashes" were taking place in the area on the east bank of the Euphrates River.